May this simple candle ease your sorrow, even if only for a moment. Our signature candle is designed to help aid someone recently bereft by a loss. 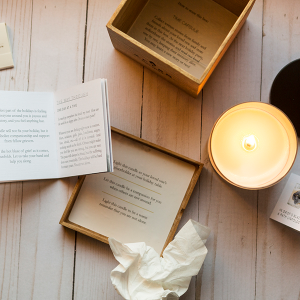 Each sympathy box is delivered with an 8 oz aromatherapy soy candle, reusable keepsake wooden box, candle coaster, matches, a 16-page booklet filled with inspirational messages and thoughts, tissues, a small talisman to keep with you and a handwritten, personalized card. Our family suffered sudden death and we were left struck numb and deep. 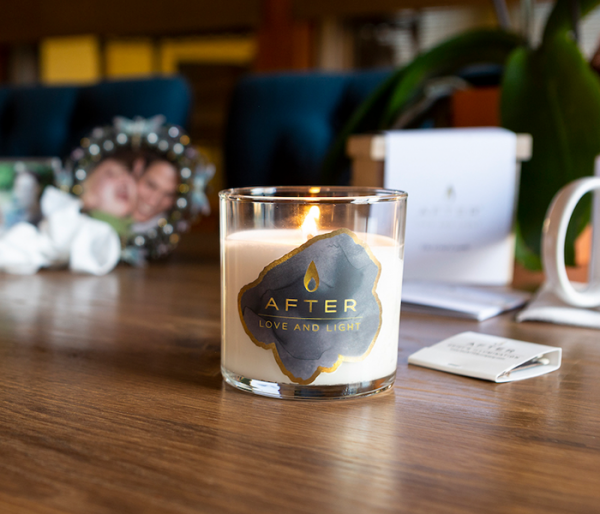 I created this grief candle as an answer to the universal frantic question our loved ones asked—how can I help? 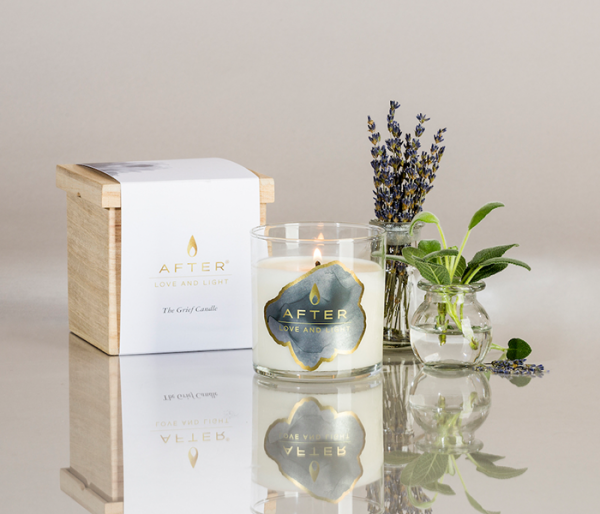 This candle is a helping hand for when the flowers die, all the food is eaten, and life moves on without us. 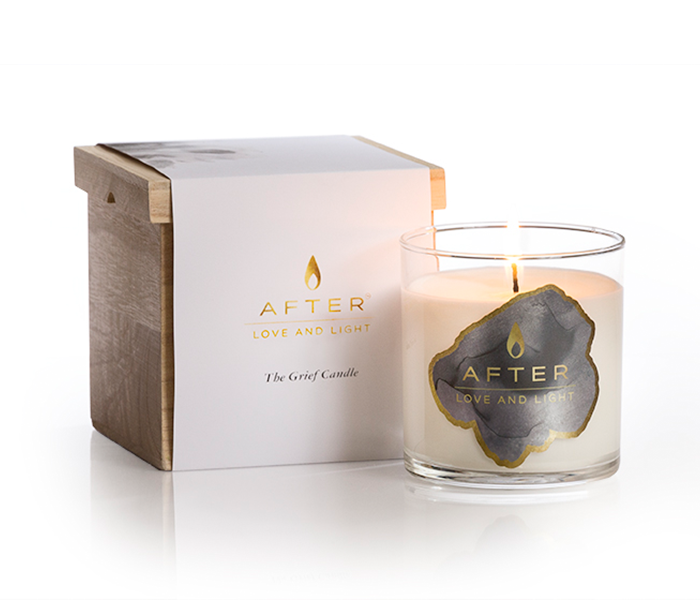 During grief, sometimes all you can do is light a candle and breathe. Such a beautiful and thoughtful sympathy gift. The box arrived with the AFTER: Love and Light candle and it was in a beautiful wooden box with a small booklet of beautiful and uplifting sayings, a book of matches, Kleenex, a magnet and a list of ideas of reusing the box (I personally will be adding memories of my loved one to it each day). It smells beautiful (Lavender and Sage). While I love flowers and receiving them is always thoughtful, this was such a unique gift and such a gentle reminder each time I light the candle. I highly recommend this for those that are experiencing grief or for those who have a loved one experiencing grief. For this Christmas, I wanted to do something very special for the strongest and most meaningful woman in my life – my Grandma. All in the past 15 years, she has lost two of her children and within the past month she has suffered the loss of her baby sister. With always putting others before her, my Grandma has never given herself the time that is necessary to grieve these terrible losses. 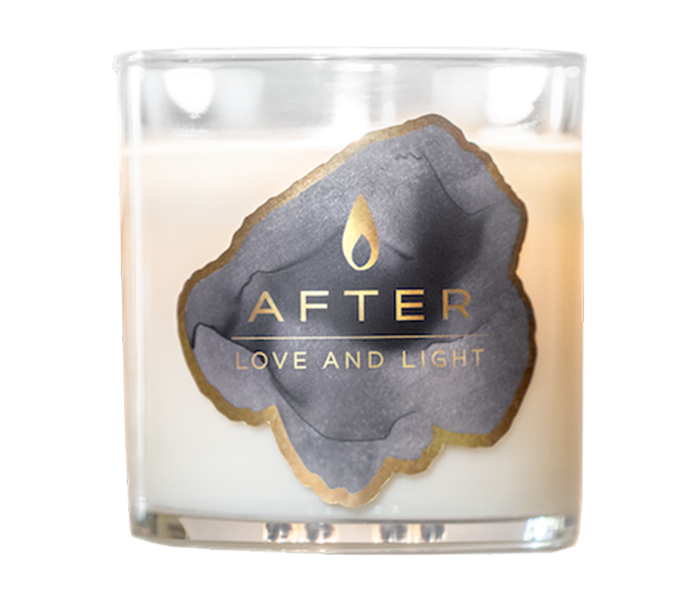 I had remembered that someone mentioned the ‘After’ collection to me a while back and the After: Love and Light was that special gift I was looking for. 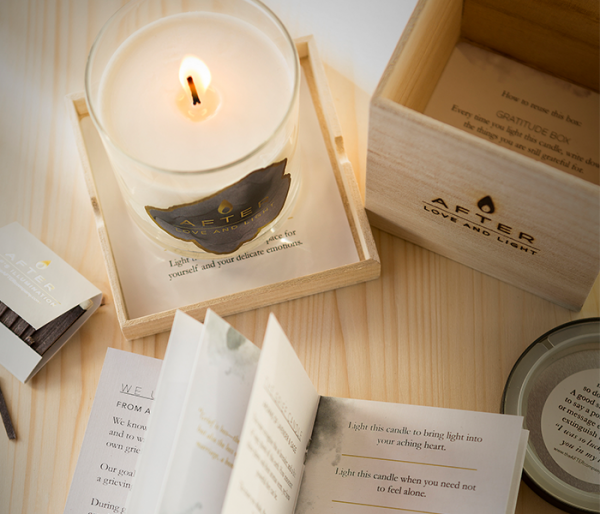 As I handed it to my grandma, without saying a word and watching her open up the lovely box with the candle and reading through all the heart-filled messages, she had a beautiful emotional release that I have never seen her experience before. 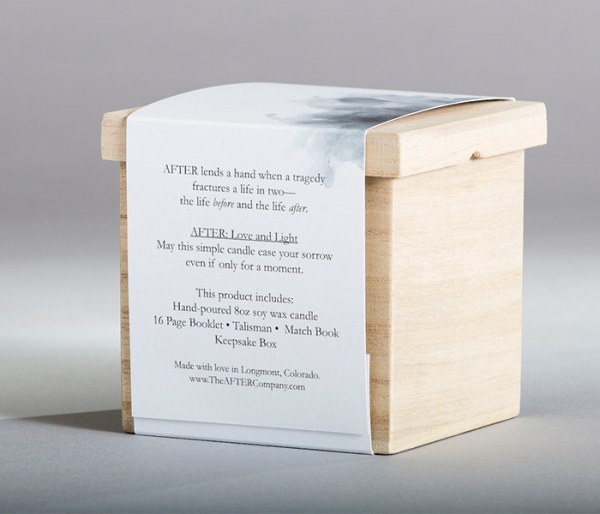 By her receiving this gift, she has opened a door to finally have the time to allow herself to grieve and ultimately, heal. 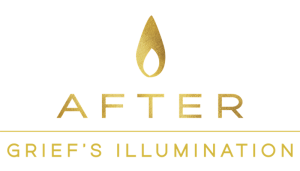 The After: Love and Light was the PERFECT gift and my Grandma is beyond grateful! Thank You!